For the final night of our festival this year we will be hosting our first ever OUTDOOR SCREENING in the park area outside the West Norwood Health & Leisure Centre. Also we are incredibly grateful to 2 local businesses for coming on board as headline sponsors – the cycling outlet Bon Velo and estate agents Stapleton Long. Both are supporters of our closing feature. 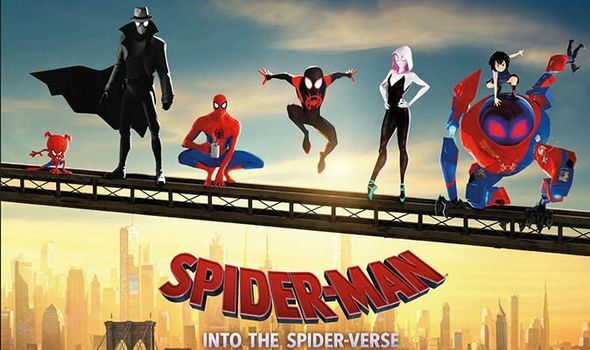 The cast includes the voices of Shameik Moore, Jake Johnson, Hailee Steinfeld, Mahershala Ali, Nicolas Cage, Zoë Kravitz. Please bring something to sit on and to keep yourselves warm – a blanket, cushion, rug or camping chair. We are screening this last weekend in April so we hope the good old British weather will be on our side! We will be screening the film around sunset (8.30pm) please arrive at the park outside the Leisure Centre from 7.30pm. We will also have some delicious food for sale courtesy of one of the FEAST food traders so that you don’t go hungry throughout the screening! Please note: This is a non-ticketed event, so entry will be on a ‘first come, first served’ basis.